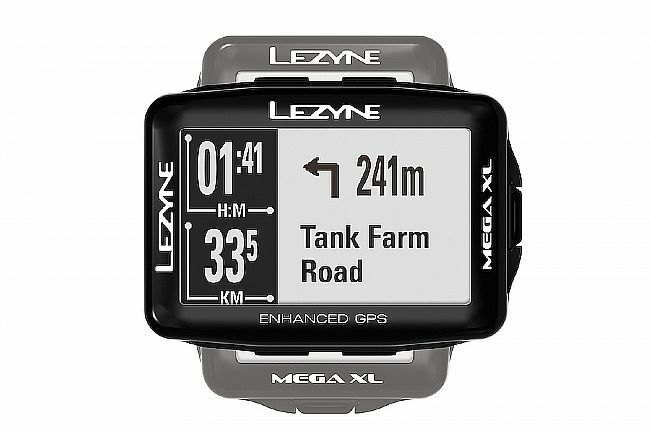 Lezyne's MEGA XL GPS Computer features a large, 2.7-inch, 240x400 high-resolution screen with the option of vertical or horizontal viewing. 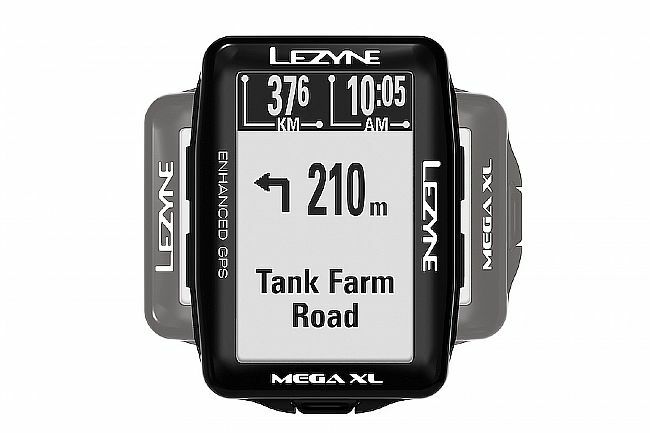 It can simultaneously pair with Bluetooth Smart or ANT+™ enabled power meters, heart rate monitors, and speed/cadence sensors, in addition to compatible electronic drivetrains. 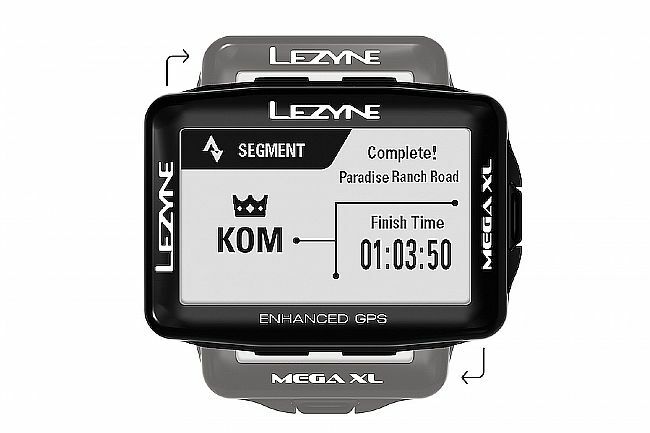 When paired with an iOS or Android handheld through the free Lezyne Ally V2 app, the MEGA XL GPS provides turn-by-turn navigation and phone notifications. 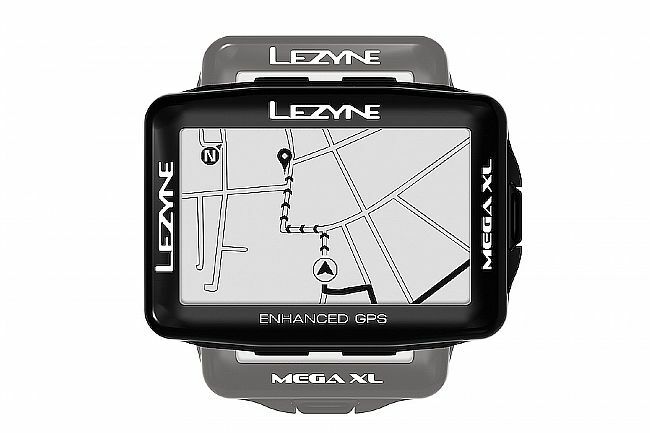 It also has on-screen preloaded maps, off-line navigation, and can be instantly customized. Bluetooth Smart and ANT+ connectivity. Turn-by-turn navigation (when paired with iOS or Android). Smart notifications (when paired with iOS or Android). Imports .tcx and gpx. files. Battery runtime: up to 48 hours. 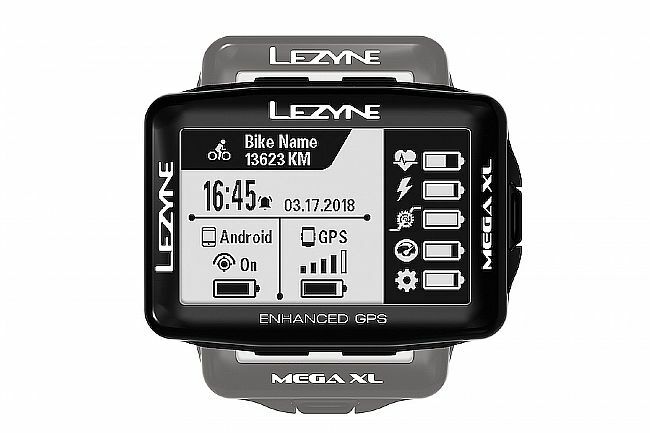 Stores up to 800 hours of ride data.